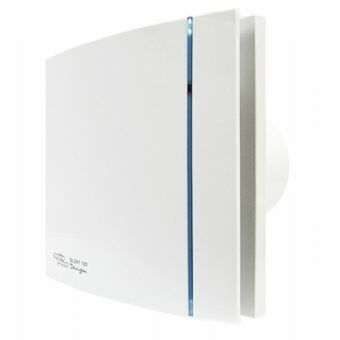 SILDES100TSK The Swarovski SILENT 100 extractor fan from EnviroVent is designed to solve ventilation problems in bathrooms and utility rooms. This stunning unit is encrusted with Swarovski crystals, making it the must-have accessory for the style-conscious homeowner. 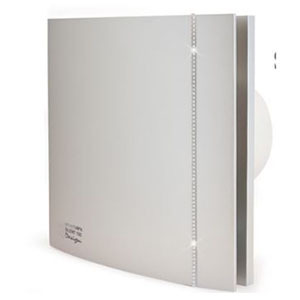 Available in a silver finish, the bathroom extractor fan is fitted with motors mounted on silent elastic blocks. The Swarovski SILENT 100 Design delivers incredibly silent running and exceptional performance with a range of stylish features.